Carolyn Weil, Fabric donations, communications & committee coordinator. 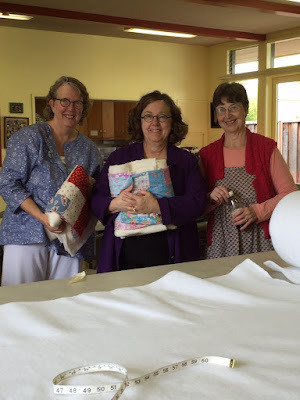 Marcia Alpert, Community quilt bank & drop-in coordinator. Jean Wolslegel, Drop-in coordinator & Community quilt bank.